There are many common causes of Forklift Accidents. In yet another industrial fatality involving a forklift, a man has died in Oklahoma City after being pinned by the vehicle as he was loading granite at a local business. The man was driving the forklift when it overturned. The accident occurred in the early afternoon. Emergency services tried to free the man but, unfortunately, he did not survive. An overturning forklift is probably the most catastrophic event that can happen to a forklift operator and unfortunately, one of the common causes of forklift accidents. Other top causes of forklift-related injuries and fatalities are being struck by a forklift, and being crushed by the forklift or a falling load. Here, we look at the reasons why forklift accidents occur and how to prevent them. There are nearly 100,000 forklift workers who are injured on the job every year, with about 85 annual deaths. With statistics like 1 in 10 forklifts being involved in an accident, it’s not unlikely that it could happen to you, or in your workplace. That’s where specific safety protocols and training comes into play. Forklift accidents are not uncommon, but they are preventable. All it takes is focus placed on preventative factors that involve the workplace and how it’s organized, the condition of the forklifts, and operator competency to prevent accidents. Read our tips below for how the various components of your workplace can cause accidents, and how to prevent them from happening. This includes things like having to drive on slopes that are too steep, soft or uneven ground, negotiating curbs, or uneven edges and slippery surfaces (oil, grease, water, ice). Driving in narrow aisles is a tricky task, and is only for specific types of forklifts and their trained operators. Obstructions at intersections can lead to forklift accidents, especially when there are too many on-duty forklifts in an area or if there are factors that limit visibility and awareness, like loud noises, dust, and poor lighting. Forklift operators need to be highly aware of their surroundings and need to inspect for any hazards like these that can lead to forklift accidents. Forklift certification teaches workers exactly how to perform a thorough inspection of the working environment, what to look for, and how to know when it is safe and unsafe to perform duties with a forklift. Excessive speed (especially around corners), carrying loads at an unsafe height or driving with too heavy or a poorly balanced load can all make a forklift turn over. Improper backing up, turning, braking and accelerating can lead to accidents, in addition to the improper use of warnings, and poor communication between workers and other drivers in shared spaces. Then there are factors like horsing around, carrying passengers or stunt driving that can lead to overturns and other forklift accidents. Forklift accidents can be prevented, but only with the right training in place. Forklift training stresses the importance of driving a forklift properly, and how to operate a forklift in various situations and environments. Here, we are talking about improper training of forklift operators, not matching the right driver with the right truck or pressure to meet production deadlines. When speed and productivity are the priorities on a worksite, all workers’ lives are put at risk. Additionally, a lack of proper tools, attachments and accessories with forklifts, outdated forklifts, and poor maintenance of lift trucks can affect the safety of the workplace and lead to forklift accidents. Dealing with heavy machinery like forklifts requires that safety is the top concern, and that proper protocols and safety precautions are put into place before any talk of improving efficiency and bottom lines can occur. Forklift training from ForkliftCertification.com is OSHA-compliant and covers all of the regulations and procedures needed to avoid forklift accidents. An added bonus is often a more efficient, productive, and positive environment with good employee morale. Other factors that can affect workplace safety and potentially cause forklift accidents are the conditions and design features of the forklifts themselves, the qualities of a load, and a working environment that involves pedestrians and lots of activity. Nobody emerges from the womb knowing how to correctly reverse a forklift, balance a load or park a forklift. One of the main causes of fatalities resulting from a forklift overturning is the driver bailing out. This is a huge training issue because the correct reaction is to remain seated and keep all body parts within the protective canopy of the vehicle. Although the instinctive reaction is to jump from an overturning forklift, training teaches operators the right way to handle this accident, while protecting their life. Forklift certification also covers the other common forklift accidents, how to avoid them, how to perform daily equipment inspections, how to assess the work area, and how to handle loads properly. The result of the knowledge this training covers is a safer workplace, improved efficiency, and an improved bottom line for employers. Everyone wins. When you purchase initial forklift training with us, you also receive all three-year renewals free for life, in addition to English and Spanish options, and easy online access to all modules, handouts, checklists, and testing guides. The forklift driver is the most important safety feature on the vehicle. Forklift Certification can help you make sure that your operators are correctly trained and certified to OSHA standards. 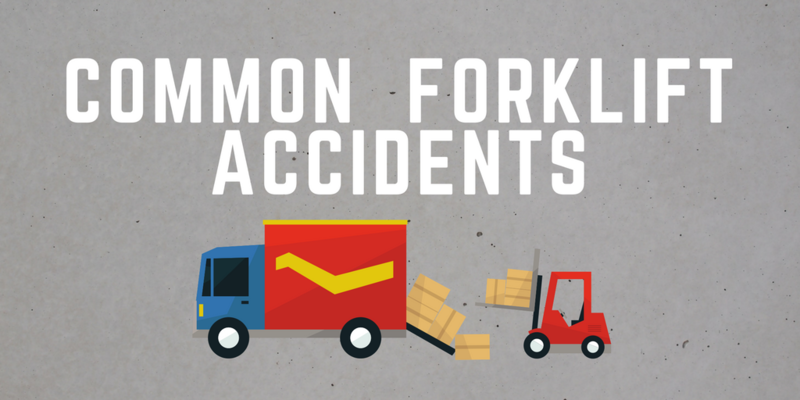 There are many common causes of Forklift Accidents, but don’t skip on safety.